Do More and Wait Less at Disneyland Resort. Our Crowd Calendar shows you how crowded each park will be on every day of the year with an easy-to-read 1 to 10 scale. See the best parks to visit and which to avoid. Includes park operating hours, Extra Magic Hour/Magic Morning schedules, special events such as Mickey’s Halloween Party, and more. Over 100,000 families subscribe to TouringPlans.com every year. Join us and start planning your perfect Disney Trip. When you're in the parks you need a game plan for each day. Our Touring Plans are step-by-step guides that save you up to 4 hours of standing in line every day. We've got family-tested templates to start with, for every park. Customize any plan by adding attractions, meals, and breaks. Our mobile app Lines is one of the highest-rated Disneyland park apps in iTunes and Google Play. Lines shows you Disney’s official wait time plus how long you’ll really wait in line at each attraction. Use Lines to get instant updates to your touring plan, search menus, see parade and fireworks times, chat with Disney experts, and more. Runs on iPhone, Android, and other smartphones. 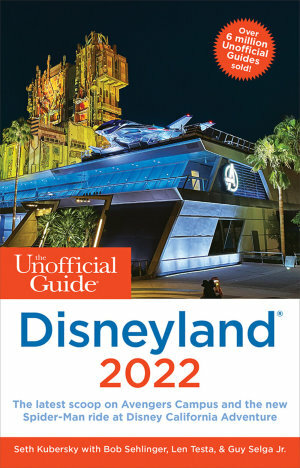 You can stay connected with thousands of other Disneyland Resort fans in our TouringPlans Forums and Lines in-app chat. Discuss trip planning strategies, discover other user's favorites Disney meals, and more in our bustling community. Stay up-to-date the latest Disneyland Resort Refurbishments, Disneyland Resort Showtimes, and Disney theme park news on TouringPlans Blog. We have up-to-date menus, prices, and reviews from every Disneyland restaurant, food cart, kiosk, bar, and stand. A handy search feature lets you find the food you’re craving. Detailed reviews of every ride, show and attraction in Disneyland and Disney California Adventure, including best times to visit each attraction, the ride’s potential for frightening small children, height requirements, handicap accessibility features, and ratings. Most reviews include comments from other families, so you can get a wide range of opinions on every experience. Complete coverage of Disney’s FASTPASS ride reservation system, including little-known secret loopholes for getting extra FASTPASSes at Disney California Adventure. Learn how to save time in line by using the “single rider” line, and read other tips for minimizing your wait in line. We’re sure that you’ll save time and money and have a better Disney vacation with TouringPlans.com. And if not, we offer a 45-day full refund. Just submit a request on our Help site if you’re not completely satisfied.